Sherwin L. Johnson, 63, of Calhoun Falls, SC, died Sunday, April 7, 2019 at the Abbeville Area Medical Center. He was born in Abbeville County to the late Lee Raymond and Mary Elizabeth Taylor Johnson. A 1973 graduate of Calhoun Falls High School, in 1975, he received an associate degree from Emmanuel College in Franklin Springs, GA and his Bachelor of Science degree from Lander College in 1977. In 1986, he earned a master’s degree from Clemson University. Serving as a math teacher and later as principal of John C. Calhoun Elementary School for years, Sherwin had a love of children and a vision that nurturing each child is the key to a better and brighter future. He was totally committed to education, active in community affairs and worked tirelessly to establish a positive and productive relationship between the school and the community. Sherwin was involved as an Emergency Medical Technician for the Calhoun Falls Rescue Squad. He was a former member of Calhoun Falls Pentecostal Holiness Church, serving as music director for numerous years. His talents were also evident in his musical involvement of Wayside Baptist Church in Laurens. He was a member of First Baptist Church of Laurens. 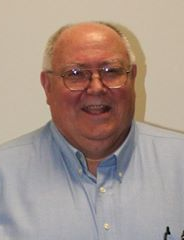 Sherwin was currently Director of Student Services, Federal Programs and Transportation for the Abbeville County School District, where he was scheduled to retire after 41 years of dedicated service this June. He was a capable leader, whose personal and professional actions were above reproach. Mr. Johnson will lie in repose from 3:00PM to 4:00PM Wednesday, April 10, 2019 at the Harris Funeral Home – Abbeville Chapel. Funeral services to celebrate Sherwin’s life will begin at 4:30PM in the funeral home chapel with the Rev. Dr. Jennings Putman and Rev. Stephan Taylor officiating. Burial will follow in Forest Lawn Memory Gardens. Harris Funeral Home & Cremation Services of Abbeville is assisting the Johnson family.